GitHub is a web-based Git repository hosting service, which offers all of the distributed revision control and source code management (SCM) functionality of Git. Today I am presenting you basic tutorial that you can use to revise Git and Github. 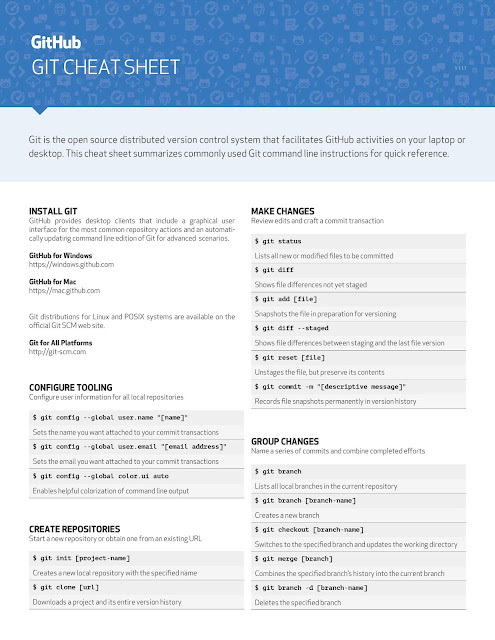 It will also give you an overview of Version control system using Git and Github. Version Control System: Version control is a system that records changes to a file or set of files over time so that you can recall specific versions later. Github: GitHub is a web-based Git repository hosting service offering distributed revision control and source code management functionality of Git as well as adding its own features. Over 4 million people use it to share code. It is the place to share code with friends, co-workers, classmates, and complete strangers. 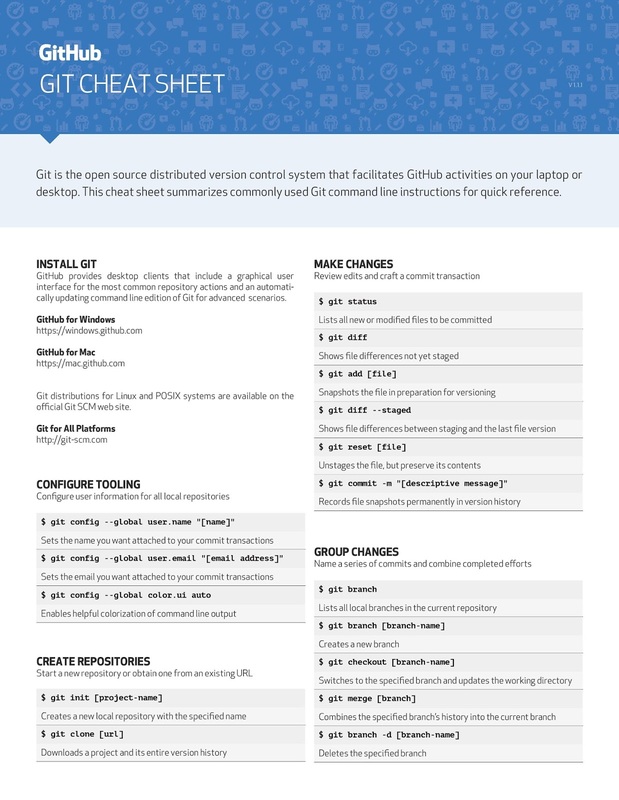 Printable Github and Git Cheatsheet. 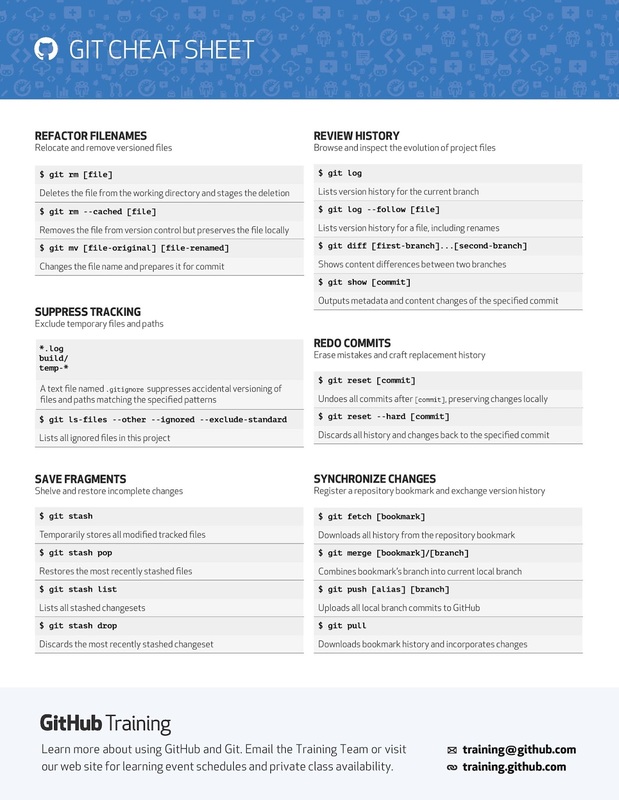 Following cheat Sheet will not only look awesome at your work-space but it will also help you to remember git commands.